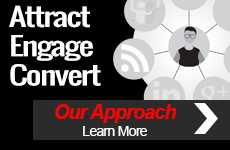 How can marketers break free of boring B2B? By using interactive influencer content! 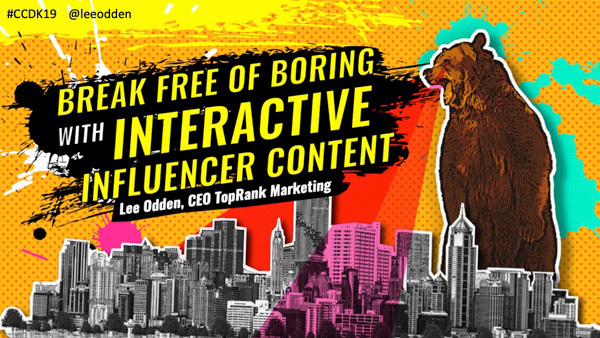 Join TopRank® Marketing chief executive and co-founder Lee Odden as he explores best practices for influencer engagement and interactive content marketing during a new keynote presentation at the Clever Content Conference 2019 on Tuesday, April 9, 2019 at 3:40 p.m. CEST in Copenhagen, Denmark (8:40 a.m. Central). The “B” in B2C and B2B doesn’t need to mean “boring” and yet much of content marketing has earned that reputation. 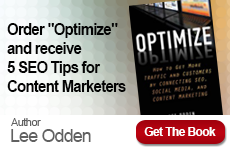 In a world of information overload, buyers expect engaging content from sources they can trust. The solution? Content co-created with industry experts and influencers delivered as interactive experiences. Lee will also be taking part in a Wednesday, April 10 morning B2B masterclass, “B2B: How to Unsuck at B2B Content Marketing,” alongside Jesper Laursen, CEO at Brand Movers, and Pontus Staunstrup, Account Director and Country Manager at Brand Movers. Registration and complete Clever Content Conference 2019 details are available on the official event website. Join us in Copenhagen for Lee’s latest insightful keynote, or if you can’t make it in person, follow along on Twitter using the #CCDK19 hashtag.